Emily Gravett’s first book Wolves was published in 2005 and since then she has established herself as one of the most talented author-illustrators working today. Her drawings are stylish and beautiful and brimming with character. 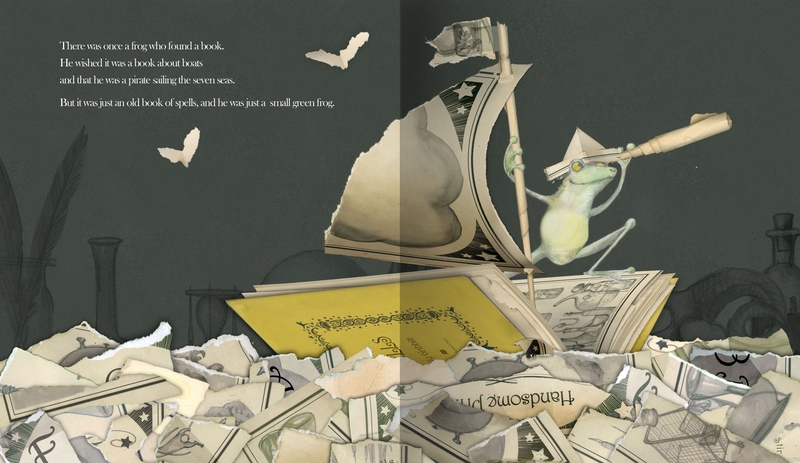 Meerkat Mail was longlisted for the Kate Greenaway award in 2007 and is a visual delight. Sunny the meerkat lives with his family in the Kalahari desert. They do everything together. Their family motto is ‘stay safe stay together’, an effective protection against jackals, but frustrating for Sunny who dreams of escaping from the constant company. So one day he packs his bags and sets off to visit his cousins around the world. But will he find anywhere to fit in? Meerkat Mail is packed with detail, from the parcel-like front cover to the rendering on each postcard as Sunny writes it. His writing wriggles over the page as he is tickled by termites, and the wet splodges on his card from the marsh echo his dismal mood. It has a lovely focus on community, and affords opportunity for discussion on family relationships and feeling at home.